My name is Chris Noe. Not only do I live in Beaufort, I was born and raised here and my family has lived here since 1842. I was born to Alice Mae Pake and Louis James Noe III and am one of five boys; Jay, Buddy, John, myself, and Jody. We are so blessed to live in the greatest place on earth and I am so blessed to be able to offer this community the highest quality funeral service at the most affordable price. It is a profession that I have grown to love and I cannot imagine doing anything else. Helping a family honor their loved one’s life is not only rewarding but it forces a person to appreciate life and to realize what life is truly all about. I have come to realize that when you are faced with the death of a loved one it’s important to have someone to turn to that you know and that you trust, someone that has been in the community for a long time. I too know what it is like to experience the sudden death of a loved one and not know how you are going to walk into a funeral home and pay eight thousand dollars or more for a funeral. This is why it is such a privilege to establish a Funeral and Cremation Service here in Beaufort. I really love my work as a funeral director and put my heart into what I do. I am so blessed to be able to do it in the community that I love. 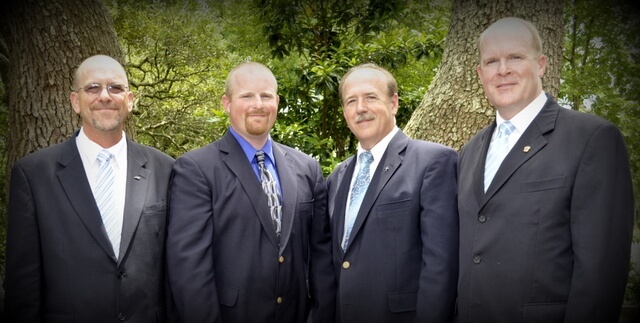 We are here to serve and to honor the life of your loved one, whether it’s a traditional service or direct cremation, finances will never be a deciding factor in the level of service you receive. Thank You for allowing us to serve this community.